Few locations offer everything on a buyer's checklist. If gated communities, spacious yards, award-winning schools and nearby shopping are your requirements, you have come to the right place. Charolais Estates in Viera, Florida, not only has the perfect climate, but has focused on Old World charm with new day trends. This is an excellent place to raise a family and live life to its fullest. Here, Barbara Zorn with Better Homes and Gardens Real Estate Star, will walk you through the many reasons why Charolais Estates is the perfect place to relocate. Charolais Estates is located at the northern end of Viera, Florida. Viera is an unincorporated area that is adjacent to the Melbourne area. It is divided into two neighborhood communities, Viera East and Central Viera. Central Viera is further divided into the North and South Villages of Solerno. Viera lies within Brevard County and the Space Coast Region. It is situated off of I-95 and is 44 miles southeast of Orlando. Viera is a popular area for people working at Kennedy Space Center, Lockheed Space, Space-X, Blue Origin, Northrop Grumman and Harris. It is an easy commute to all of these job sites plus it is a quick drive to Melbourne Regional Airport and less than an hour to the Orlando International Airport. Easy to access, over 100 miles of hiking trails and quality medical services are only a few of the high points in ranking Viera as one of the top U.S. master-planned communities. Other amenities noted by The John Burns Real Estate Consulting, LLC. and RCLCO Real Estate Advisors included retail shopping, a movie theater, A-rated schools, the Brevard Zoo, USSSA’s Space Coast Stadium Complex, and multiple places of worship all within minutes of most homes. This was not Viera's first top billing as a master-planned community and their rating seems to increase each year. 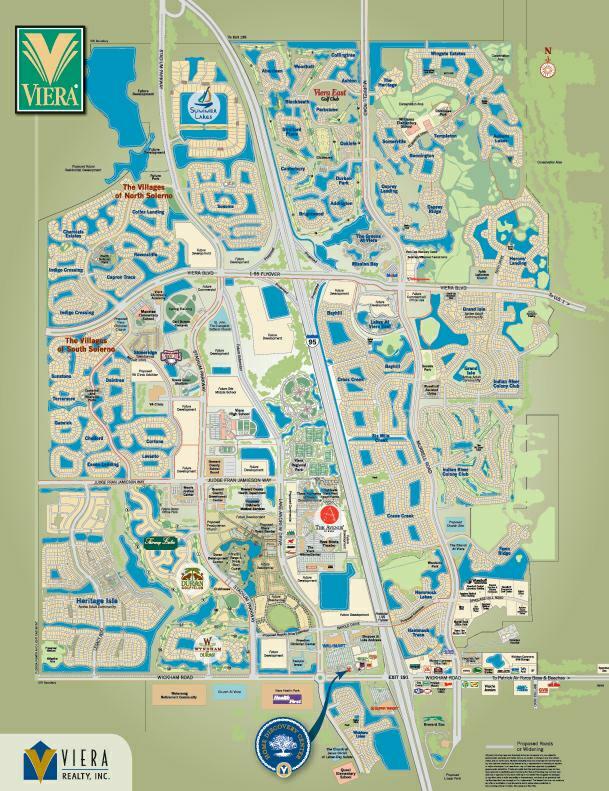 Part of the detailed plan for the Viera master-planned community included convenience and transparency to government regulations and functions. With the properties lying in the middle of Brevard County, opening a second set of county government facilities seemed ideal. Almost every public function that is available at the main courthouse can also be found at the Brevard County Government Operations Center. Single family neighborhoods were started in 2014. After proving the value of the area as a master-planned community, it was time to offer the many benefits to families everywhere. Charolais Estates is the latest gated development where family, education, health and fun is the focus. Mature trees line the cul-de-sacs that back up to lakes and preserves for a feeling of natural solitude. Oversized lots allow for outdoor kitchens and fun in the yard. All homes are within walking distance to playgrounds, pools and tennis courts. Only the most professional builders of custom homes are invited to show off their skills in this elite part of Viera. For instance, Arthur Rutenberg Homes is known for legendary designs and award-winning craftsmanship throughout the building industry. The theme for Charolais Estate Homes is Mediterranean, Coastal and Contemporary. Armstrong Custom Homes is another frequently seen builder that has over 30 years of Award-Winning homes in Brevard County. They are lain out prominently to provide large family spaces that reflect open and active lifestyles. Bright and inviting, the flavor flows with tropical goodness and the refinement of upscale homes. Each exterior has a customized attribute whether it be elegant columns, custom stone or one-of-a-kind architectural detailing. The interior of each Charolais Estate Home is a wonderment of open space and customized design. Handsome fireplaces, ornate archways and exquisite woodwork are a few of the individual qualities that define these homes as unsurpassed in detailed attention. Homes are available from 3-6 bedrooms and 2-6 bathrooms. Many homes host pools, Jacuzzi, gourmet kitchens and pocket sliding doors. Do not be surprised to find a 3-car garage for extra space. Each home has its own form of character and distinction that provides for individual wants and needs. Contact Barbara Zorn of Better Homes and Gardens for an exclusive tour today. Where does one begin? The number of amenities in this master-planned community of Charolais Estates seems to have no end. It would be difficult to find the same quality and quantity of activities, educational facilities and shopping that this community has to offer. The closest option for relaxation and fun lies across the street from Charolais Estates and is called North Solerno Park. 20 acres filled with 2 double tennis courts, 2 full basketball courts and 2 large pavilions is what you will find when you enter North Solerno Park. But that's just the beginning. A fenced in playground with a gyro climbing web, swings, play sets and rock climbing walls will keep the kids busy for hours while you relax in the pool next door. In 19 89, the Brevard County Educational Services Facility got underway for education to move into Viera. Manatee Elementary School was opened in 2003 and has a 'A' school rating. They have adopted a Green School initiative with recycling. Throughout the school year a focus is made to support charitable causes, such as the Ronald McDonald House and local food banks. Another elementary school opens shortly after. In 2006, Viera High School opens. There are 16 colleges within a 50 mile radius of Viera, making in-state selections a breeze. Eastern Florida State College has been rated one of the best colleges in the nation and costs half of a state college. The Duda family first immigrated to Central Florida from Slovakia in 1909. Andrew Duda and his three sons formed the town of Slavia and spent years trying to make a go in a foreign land. Finally, in 1926, their first cash crop of celery was harvested and they created A. Duda & Sons. Their mission was clear, to create a better life for their families while protecting the environment. The early Duda family invested in property, build up the ground to create produce, and preserved land as a natural habitat. In the 1940s, the 3 sons made a large purchase of 43,000 acres in Brevard County. This parcel of ground became the heritage of the family's hard work, integrity in business and solid belief in God. In 1989, third, fourth and fifth generations of Duda's devised a plan to build a master-planned community where family, education, religion, work and pleasure could be experienced. Named Viera, Slovak for "faith", the wheels began to turn. Today, the prosperity of the Duda family continues to expand its values in Viera. Not only have they created a community where its reputation for quality, integrity and innovation has become widely recognized, but the focus on market trends and customer service shines through. Duda's stated purpose is to multiply and share God's blessings. This is accomplished through the philanthropy of land donations and working closely with government officials and like-minded companies. A board of directors consisting of family members and non-family members with business backgrounds have carefully considered the construction of every building that is part of Viera. From the Championship 18-hole Duran Golf Club to Manatee Elementary School, you will see this family's signature on each past, present and future projects. Viera made sure that religion was not left out of the traditional family role in Charolais Estates. Close by you will find Faith Lutheran, The Church at Viera, Freedom Christian, St. John the Evangelist Catholic Community and Temple Israel for family and community worship. How could you have a dream home without a top-notch golf course nearby? Try 4 golf courses for a change of green. 1 - Duran Golf Club opened in 2005 and is a championship 18-hole course designed by Chip Powell. Voted “Best Public Course in Brevard County” and “Top 50 in the country for practice ranges,” Duran Golf Club excels in a great golfing experience. You will also find a team of PGA instructors for personal coaching at the Duran Academy of Golf. 2 - Viera East Golf Club offers an 18-hole championship golf course, designed by world renowned architect, Joe Lee. Close to the wildlife corridors of Viera East, the magical world of American bald eagles, Sandhill cranes, deer and bobcats are a common sight. A tropical beauty, many regulars make Viera East their go to golfing grounds. 3 - Selected as one of Golf Digest's 75 top places to play in Florida, Baytree National Golf Links has a variety of challenging holes that are fit for any playing level. 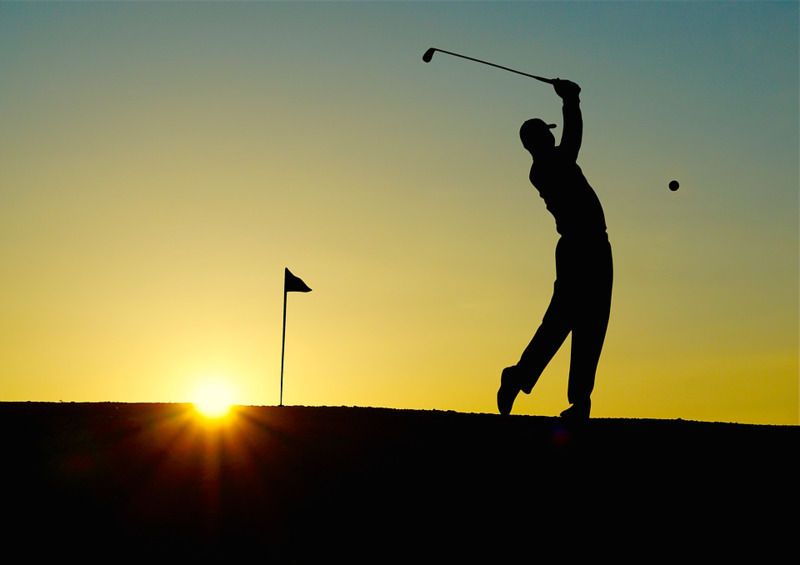 In addition, they have tour-quality practice facilities, PGA Professional instruction and a fully-stocked Golf Shop. 4 - Designed by Robert Renaud, a golf course architect, Turtle Creek Golf Club is well-wooded and has challenges galore. Featuring Smash Golf, in addition to golf, this new sport is an upcoming attraction for residents and visitors. A traditional Old Florida course, the greens are well-manicured and feature NEW Champions Bermuda Greens. The beauty of the Space Coast region is even more enjoyable when visiting the array of parks that are laid out in detail. Addison Village Bark Park is Viera's first public dog park and appreciated by all. Also included is a children's park with areas fenced off and designated for specific purposes. Your dog will be waiting leash in hand when you come through the door. Viera Regional Park is another impressive park where a Farmer's Market is held on designated days. Everything from fresh produce to hand crafted soaps can be found. This is a great way to get to know the neighbors! This is also the place for baseball with 2 major and 2 senior little league fields, basketball courts, pavilions and an 18,000 sq- ft- community center with gymnasium. 16 lighted acres lets you enjoy soccer games on 2 different fields. The Brevard Zoo may not be the largest zoo in the country, but it certainly is one of the most educational and exciting. Community leaders pledged to form the largest community-built zoo in the world, and with 16,000 volunteers, it happened. Community support, and commitment to conservation and education has brought breakthroughs to restoring native marine and animal life while creating cleaner shorelines. Connecting the planet and all of wildlife is something that you will experience at the Brevard Zoo. It’s Florida and water is everywhere. Close proximity to the Indian River which is popular for all kinds of water sports. From kayaking to stand up paddle board this area is a great place to explore and unwind. The Intracoastal waterway is here so big and small boats can be found out on the water at any time of year. There are popular clubs like the “Cat Club” for those with a Cat boat or the ‘Whaler” club for those with a Boston Whaler. Raft ups around the island abound on the weekends. The Waterfront attracts fishing.Redfish are plentiful on the Indian River. Snook, cobia, tripletail, tarpon and cobia are other popular fish found on the Indian River or a little farther east in the Banana River. Offshore fishing off the Atlantic Ocean is another popular sport. For deep sea fishing you will need a boat or there are plenty of charters available. You can always cast a rod right from the beach. Pompano, Channel Bass, Flounder, Mackeral, and Whiting can be caught. Speaking of the beach it is a quick drive away from Charolais Estates. What a great place to lay around and read a book, play bocci ball, frisbee, fly a kite or even surf. Charolais Estates would not be complete without the most powerful shopping options in Florida. The Avenue Viera has over 80 stores and restaurants to entice the most discriminating shoppers. Everywhere you turn there is something new to see. From department stores and boutiques to Sushi Bars and theaters, The Avenue is an amazing way to spend a day. To stay with the spirit of nature, health and conservation, Earth Fare is a favorite shopping center for grocery shopping. You will find no artificial fats, artificial sweeteners, high fructose corn syrup, preservatives, added hormones or artificial colors in the products on these shelves. The same applies for meat, seafood and produce selections. Recipes, savings and delivery are also offered. Earth Fare will definitely spoil you as a customer. Petty's Meat Market is another local favorite. The motto is, "Where Every Day Becomes Gourmet". This is the quinessential old fashioned meat market. Chef prepared hot meals are available daily. There are make and take pre-packaged meals and an impressive wine display. This is a local hang out with carving days, wine tastings and events to support some of our local charities. Relax with The Avenue in Central Park at our Thirsty 3rd Thursday. There will be live music (jazz, blues, rock & country), complimentary food, and free drinks. Every Tuesday, Pizza Gallery & Grill hosts Pizza with a Purpose. From 5 - 9 PM, 10% of sales will go to a chosen organization. And of course, events for Halloween, Christmas, Hanukkah, Easter, 4th of July and every other major holiday are celebrated. What does it take to sell a home in Charolais Estates? An agent with cutting edge marketing and a willingness to work hard. 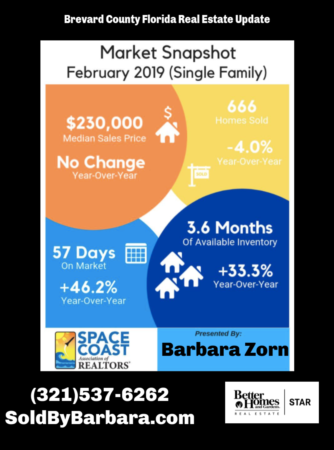 That’s Barbara Zorn, call her today!